Whittaker, William. "Words". Notre Dame Archives. Identifies Latin words entered. Translates English words entered. Cherryh, CJ (1999). "Latin 1:the Easy Way". CJ Cherryh. Retrieved 24 June 2010. Batzarov, Zdravko (2000). 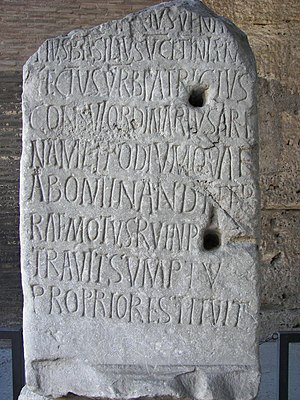 "Latin Language (Lingua Latina)". Orbis Latinus. Retrieved 24 June 2010. Wilkinson, Hugh Everard (2010). 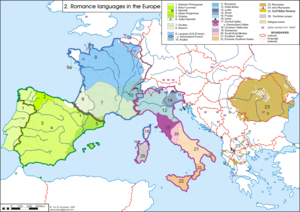 "The World of Comparative and Historical Linguistics (A Historical Survey of the Romance Languages)". Page ON Park. NTT Communications. Retrieved 24 June 2010.